Cake baking and cookie making have been elevated to a new level! This mixer can handle anything you throw at it. 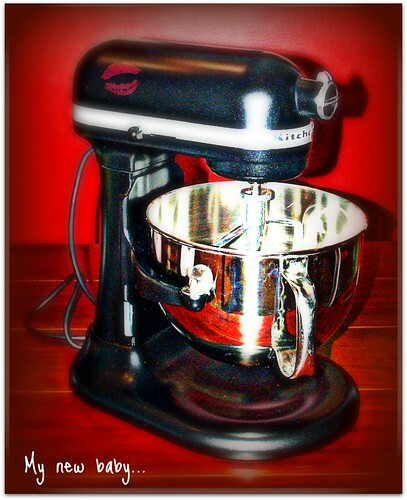 And, I have to give kudos to KitchenAid for their customer service. Shortly after I received the mixer they shipped to me in June, I noticed a knocking noise in the motor. I was going to just ignore until I heard from others that it could be a gear problem. So I called KitchenAid and they shipped me a brand new one! They had me pack the old one in the new box and FedEx is going to contact me to pick it up. WOW! Now that's service! So I used this one to make some Toll House cookie batter, which is very thick and has been responsible for burning up hand held mixers in the past. Not only did the paddle glide through the batter, the motor seemed to run quieter than the previous mixer. Now all I want to do is bake cakes and cookies, 24/7! I have one and LOVE it! If there was a fire, it would be the one item I would grab and run!! Yours is a beuty!